Furman’s Natalie Srinivasan has the led at one of the most important regular season college women’s tournament after 36 holes. The Lady Paladin sophomore has a 2-shot lead over an all-star field going into the final round of the Annika Intercollegiate in Eden Prairie, MN. The defending SoCon individual champion shot a second round 4-under par 68 to go along with her opening round 2-under par 70 for a two day total of 138, 6-under par. 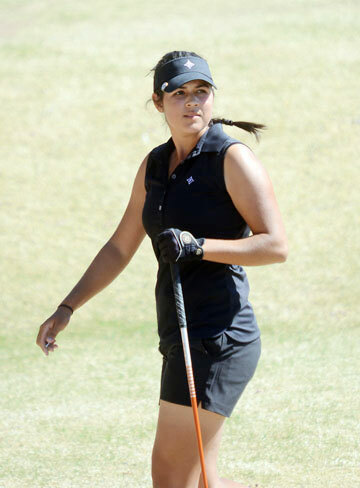 Srinivasan helped the Lady Paladin team set a school record for the best score in a tournament round in the program’s history. Furman finished the day at 277. In addition to Srinivasan’s 4-under par round Alice Chen shot a 5-under par 67. Jacqueline Bendrick and Reona Harai each shot rounds of 1-under par 71 to help Furman post an 11-under par total. Only Texas shot a better round carding a 14 under par to move into a second place tie with Stanford. The two teams trail tournament leader Arkansas by four shots. Furman is in fifth place entering the final round on Tuesday. The Annika Intercollegiate is a select invitational tournament with a field made up of the 12 teams projected to be the best women’s teams in the country this year. US Amateur champion Doc Redman and teammate Bryson Nimmer each carded 2-under par 69s int he second round of the Nike Golf Collegiate Invitational. Redman moved up into a tie for sixth place in the individual standings while Nimmer is tied for 18th after two rounds. The Clemson sophomore is five shots behind Brandon Wu of Stanford who has the individual lead. The Tigers are tied for seventh place in the team standings. Clemson is at 6-under par. Stanford leads the tournament at 21-under par. 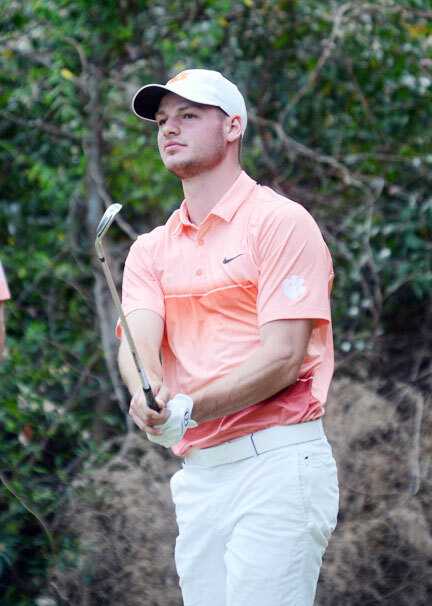 While the Clemson men’s team is in Oregon three members of the Tigers team are playing in the Hummingbird Intercollegiate at Sapphire Valley, NC. 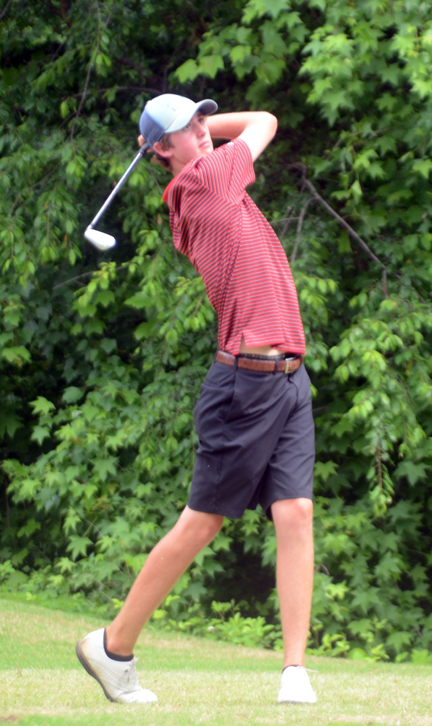 Freshman Colby Patton shares the lead midway through the second round. Play had to be suspended in the second round because of darkness. Players will complete the second round and then complete the final round of the event. Patton was tied with two other golfers at 5-under par 66 after the first round. 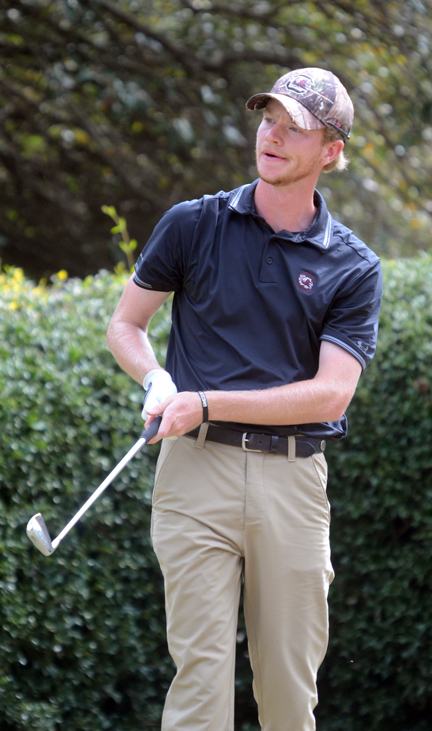 With six holes to play in the second round Patton is at 8-under par and tied with Patric Wu of Gardner Webb. in Nebraska. Huskey aced the 7th hole in on his way to a first round 3-under par 69. Scott Stevens is the top Gamecock golfer after the first 36 holes. Stevens is at 9-under par and in sixth place, four shots behind the tournament leader. The Gamecocks are in fifth place at 19-under par. Santa Clara is the tournament leader at 36-under par going into the final round.